Multimedia Presenter & Producer specialising in Motor Industry content. Wayne Scott is an experienced freelance Presenter, Voiceover and Producer working across multiple media types including audio, video and print for both online and broadcast. He specialises in creating online media content for the motor industry. After graduating with a degree in Multimedia Technology from Leeds he began his media career in commercial radio. Since then, Wayne has proven himself both as a skilled broadcaster and creative producer. Combining the valuable skills gained in broadcasting with his expertise in online media, Wayne Scott became Shareholder and Production Director in the UK's first company to specialise in podcast production - Podcast Voices & Video Ltd, in 2006. During this time Wayne worked with major brands such as Lonely Planet, UEFA, Microsoft, NHS, Bounty Families, The Times, BBC Top Gear Live and Clarion Events (to name just a few) helping them utilise and develop new and innovative ways of creating and publishing audio and video content online. In 2010 Podcast Voices & Video Ltd was acquired in full by one of the leading online advertising networks and publishers in the UK, Net Communities Limited. Wayne has continued to work with the new owners as a consultant multimedia producer creating content for their advertising clients and network of owned sites such as ITProPortal.com. Between 2007 and 2013 Wayne Scott presented and produced the Official Top Gear Live podcast combining his broadcasting experience with his lifelong passion (perhaps obsession) for motoring and motorsport. This experience has enabled Wayne to specialise in motoring content as showcased here. 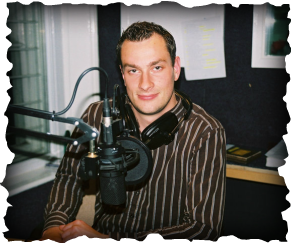 Wayne continued his broadcasting career in commercial radio presenting Weekend Breakfast and Drivetime on Peak FM before moving on to cover shows for Mansfield 103, Lincs FM and Heart. Details on the radio section of this website. As a podcasting evangelist Wayne has advised many other content producers, creative agencies and education establishments on how to make the most of online media. Wayne has also given talks to colleges and universities on the subject and was a regular attendee of the New Media Expo in California. Outside of work you'll find Wayne working on or driving his classic car, competing in auto tests, rallies or speed hill climbs and avidly following sports car racing such as the World Endurance Championship, European Le Mans series and the annual pilgrimage to Le Mans.